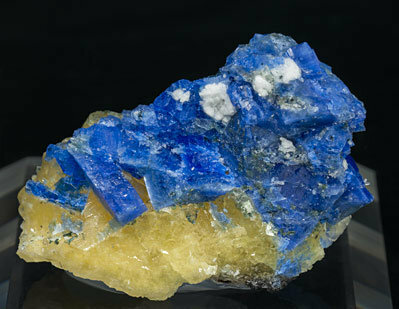 Aggregate of tetragonal Carletonite crystals on a Calcite matrix with very well defined faces and edges and with a deep, uniform and intense color. The sample is from the Carlos Curto collection, whose label and card we’ll send to the buyer. The sample is from the type locality. 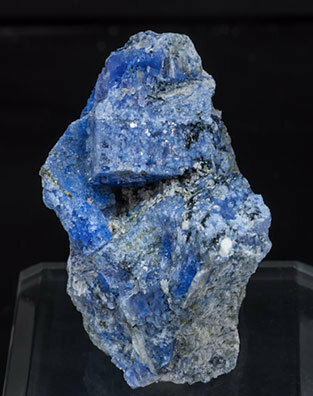 Group of translucent equant crystals with a very deep and intense blue color and very individualized as usual with this kind of sample. A great classic. Aggregate of very sharp prismatic tetragonal Carletonite crystals, some of them more isolated than usual, whose color is unusually intense, deep and uniform. They are on a Calcite matrix and partially coated by small, white, Feldspar crystals. The three minerals have been analyzed and we will send a copy of the analyses to the buyer. 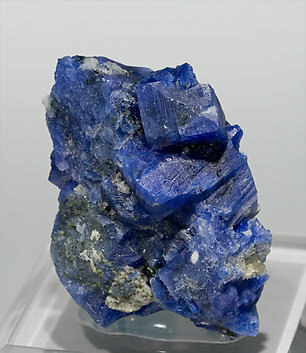 Aggregate of prismatic tetragonal Carletonite crystals with very well defined faces and edges, whose color is unusually intense, deep and uniform. They are partially coated by small yellowish Calcite crystals, with white Feldspar crystals. 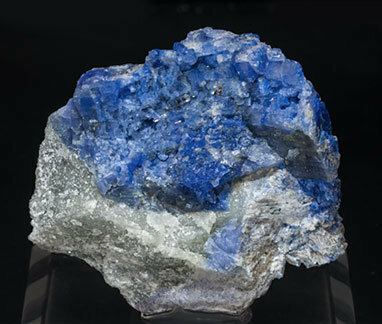 The three minerals have been analyzed and we will send a copy of the analyses to the buyer. Aggregate of equant tetragonal crystals that have very well defined faces and edges. 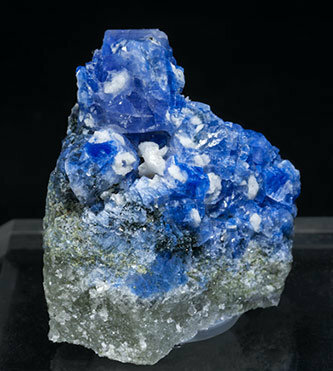 They are translucent and bright and have an unusually intense, deep and uniform color and are with small white feldspar crystals. A great Canadian classic, from the type locality. 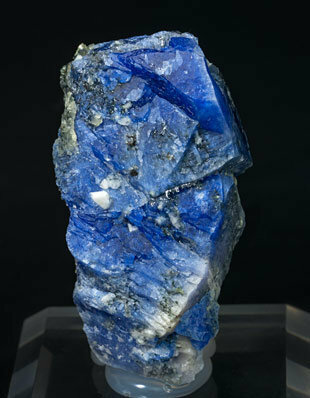 A group of very well defined crystals, one of them clearly dominant, with parallel growths on the faces, very bright and with a very vivid blue color. There are also small Feldspar and Calcite crystals and aggregates of small, black, acicular, Arfvedsonite crystals. The sample is with a label of a Canadian collection.